Illamasqua, oh how you have been a brand on my radar for so long, but like a unrequited love story you have never quite come within my grasp. I was very pleased to get my mucky paws on some of Illamasqua’s new Paranormal range recently when their super sweet PR lady contacted me, literally how could you say no? Like a massive stick in the mud I always want to hate higher end brands, mainly because I’m a connoisseur of the more frugal things in life. I can often be over critical of things that cost more and weigh up their worth in a very complex way (in my head) which weighs up pro’s and con’s and analyses things in a ridiculous way. I guess that’s why I blog and people read it, I always share an honest and well rounded opinion! Illamasqua are a brand on my radar for a few reasons though, they come across as high end without the pretension. They celebrate individuality and are a cult beauty brand everyone can relate to in their numerous collections and constant array of innovative product arrivals. It’s all getting a whimsical now, I digress, let’s focus on one of the products I got to try, which is the Illamasqua Precision Gel Eyeliner. I’m a die hard fan of liquid eyeliner, I wear it every single day and feel completely bare without it on. I would happily go without foundation as long as I had my trusty eyeliner (that’s actually a lie, do not ever take my foundation away from me please). Whenever I have tried other variants of eyeliner I’m left disappointed and it is left in a drawer collection dust. From pencils, to fibre pens, to pots – it all just get disregarded after the second try. 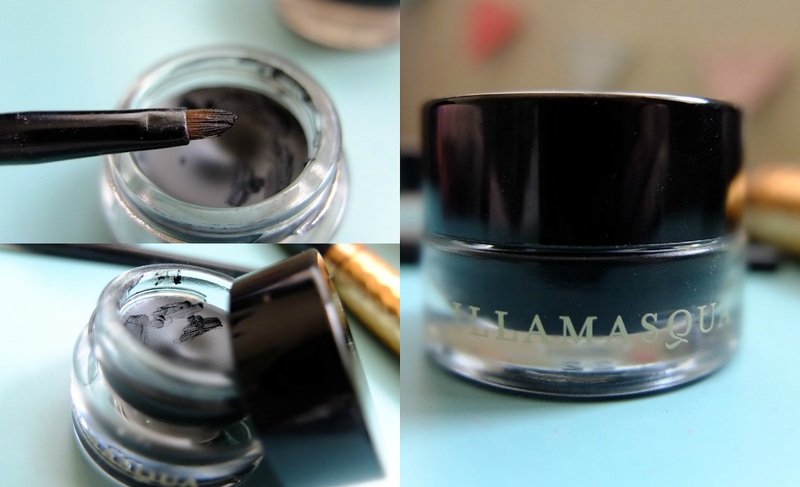 The Illamasqua Precision Gel Eyeliner though, oh you sweet little baby of mine. I’ve worn this every day since I’ve had it. 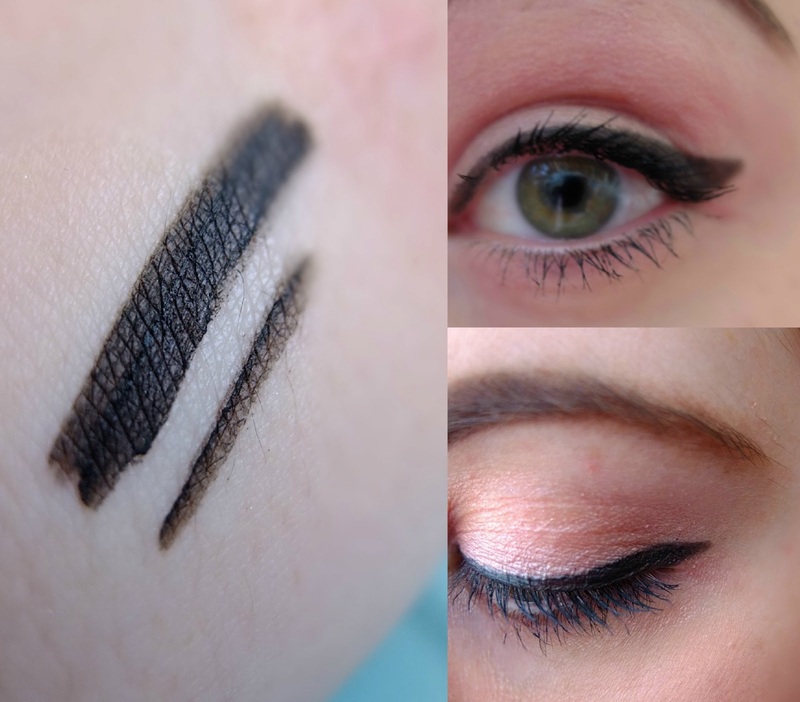 It’s the blackest, slickest gel eyeliner I have ever tried. It is incredibly pigmented and applies so smooth. I’ve been applying it with the brush I got from the dreadfully crap Maybelline pot of eyeliner I got ages ago – which was awful. It was dry, it was clumpy, it was just a waste of money. I did think it may have been the brush but this proves it wasn’t. Although I do need to invest in a proper brush though as I’m not getting an overly precise line at the moment, but the formula is so smooth you can easily make a lovely slick line even with a rubbish brush! You can also build up the colour, so sometimes (due to lack of practise) I do apply it a bit too sheer, but another layer and I’m good to go. The downside for me is that it doesn’t come with a brush included BUT saying that you often find when brushes are included they’re sub quality and you end up buying one anyway, so it’s swings and roundabouts I guess! You get a generous pot of the eyeliner too which would last for, gosh I don’t know…. a YEAR? You need so little and it applies so well. As you can see from the above image you only need to gather the smallest amount on your brush. Retailing for £18 I would usually never consider spending so much on a make up item, but…oh what a big BUT, taking in to account how long this will last, how amazing the quality is, how important eyeliner is to my every day make up routine, how brilliant it is in comparison to the numerous others I’ve tried; it’s definitely something I would purchase again. Oh and on a different note, it took me a good few months of trying to pronounce ‘Illamasqua’ when reading it (coming to all kinds of hilariously inaccurate conclusions) so in case you are wondering, it’s apparently pronounced ‘Ill – ah – mask – ah’…. Terri Lowe, stating the obvious since 1985. Now can someone recommend me a brush pleaaaaaaaaaase? Next Post Room for Improvement?